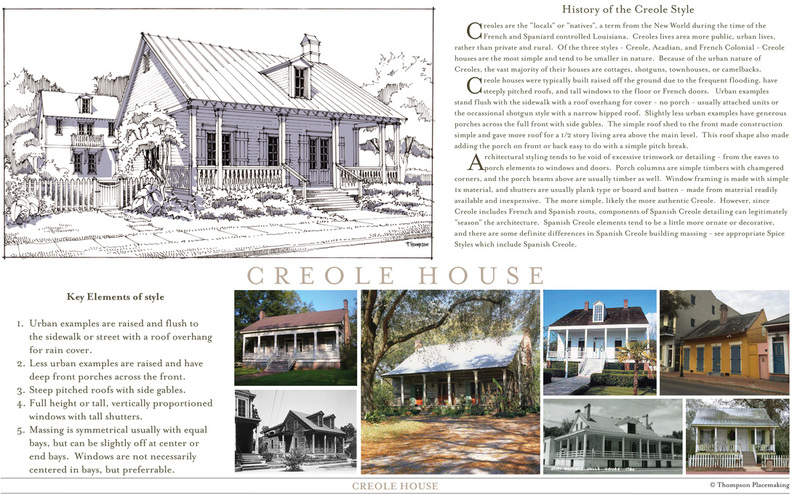 This 11x17 PDF format pattern book of these beloved styles makes a distinction between the Creole, Acadian, and French Colonial styles, complete with key elements, history, details, and renderings & pictures of houses in each style. The book will give you the design tools you need to create authentic homes in these three styles. It also includes a section on how to make the most of your front porch as it relates to the sidewalk and pedestrian. The last section in the book gives quite a few house designs that can be purchased for your development. Contact mike@thompsonplacemaking.com for info on purchasing the pattern book.